Harriette and her husband Ennis started fostering local teenagers in 1990 and, ever since, have looked after youngsters for spells ranging from a week to seven or eight years. The Hanwell couple had their own family but decided they wanted to do something to help. After initially offering to take children at weekends, they were encouraged to foster and they have not looked back. It has not always been plain sailing, but there is strong support behind foster carers and the rewards are significant. “There are times when you think ‘this is a losing battle’ and ‘gosh, I’m not getting anywhere’,” said Harriette. “But there is a very good support network in the fostering team and it is very easy to pick up the phone to other carers and we help each other through any problems. Harriette and Ennis were named Foster Carer’s of the Year 2016. 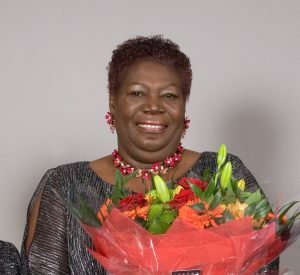 They were recognised for not only their commitment to the many children they have cared for over the years, but for also going the extra mile including being mentors, organising social events, delivering training and for supporting other foster carers.